North East Triangle Tour Packages | Call On +91-993.702.7574 For Booking. Travel is the only thing you buy that makes you richer. Explore the beautiful North Eastern Triangle with our North East Triangle Tour Packages. 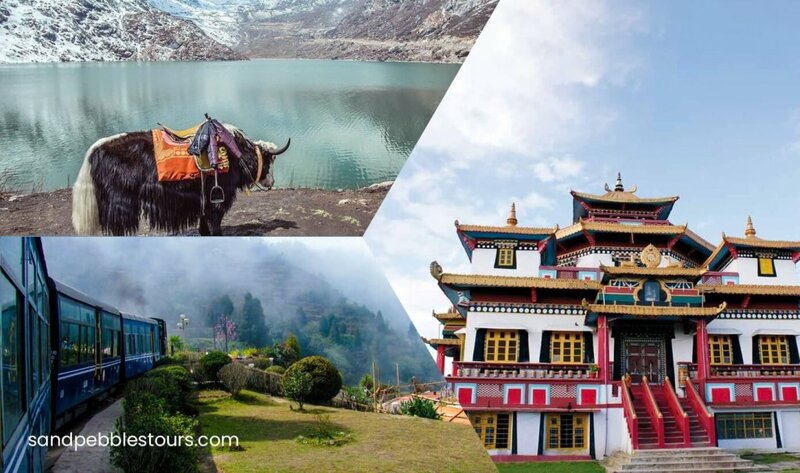 From the pristine range of Himalayas and hill stations, frozen lakes, zoological parks and temples North East Triangle Tour Packages covers everything. North East India is a gem to be discovered and comprise of myriad pleasures. With its own unique charm, North East Tours are full of surprises for travellers. Be charmed by natural beauty, exciting adventures, waterfalls, lakes, traces of Buddhism in ancient monasteries, delicious food, colourful festivals, etc. Adorned with magnificent hills and a wide variety or rare exotic flora and fauna North East Triangle Tour Packages will leave you amazed with its untouched beauty. Our caring tour leaders are always available to assist and entertain you throughout. North East Triangle Tour Packages takes you on a sojourn on blessed nature trails, thrilling adventures, treasured heritage and memorable experiences. The North East Tour Itinerary will give you a brief idea about the Eastern Triangle Tour. On arrival at NJP Railway Station / (IXB) Bagdogra Airport, (500Ft / 150Mts) you will be received by our office Executive who will assist you to board your vehicle to Gangtok (5500 Ft /1677 Mts, 130 Kms / 04 to 05 Hrs). Overnight at Hotel. After breakfast in the morning, start for excursion to Tshangu Lake – situated at a height of 12400Ft / 3780 Mts / 43Kms in 3Hrs one way, with an average depth of 50 ft. The cool water of the Lake is perfectly attuned with the scenic beauty around. Back to Gangtok and Overnight at Hotel. Go for a half day sightseeing covering Rumtek Monastery, Droul Chorthen, Research Institute of Tibetology, Directorate of Handicraft & Handloom & Enchey Monastery. Afternoon transfer to Kalimpong (3937 Ft / 1200 Mts, 85 Kms / 03 to 04 Hrs), Check in & overnight at Hotel. Today after Breakfast visit Dello hills, Dr. Graham’s Home, Flower Nurseries, Jang-Dong-Palriffo Brang and Durbin Dara Hills. Transfer to Darjeeling (7380 Ft / 2250 Mts, 70 Kms / 03 to 04 Hrs), Overnight at Hotel. Early morning tour to Tiger Hills (8364 Ft / 2550 Mts at around 4 AM) to view sunrise over Kanchendzonga Peak (subject to clear weather). On way back visit Ghoom Monastery, Batasia Loop. After breakfast go for a half-day sightseeing of Japanese Temple, Peace pagoda, Padmaja Naidu Himalayan Zoological Park & Himalayan Mountaineering Institute (Closed on Thursday), Tenzing & Gombu Rock, Tibetan Refugee Self-Help Centre (Closed on Sunday) & Tea Estate. In the afternoon visit to Rock Garden & Ganga Maya Lake. Overnight at Hotel. After breakfast proceeds to NJP Railway Station / (IXB) Bagdogra Airport (100 Kms / 03 to 04 Hrs), for your onward connection / Journey. (Breakfast at Darjeeling Hotel) AC INNOVA / SIMILAR.